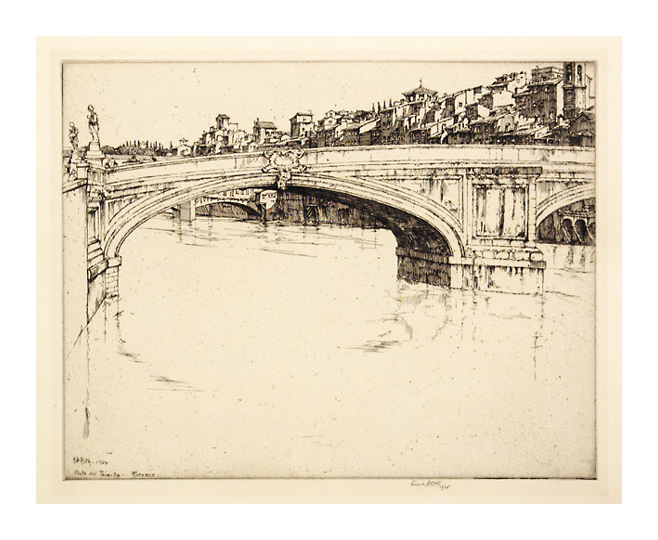 Ponte del Trinita or The Arch (Florence) --- 1924, Etching. Edition not stated. Signed, dated, and titled in pencil. Signed, dated, and titled in the plate, lower left. Image size 10 1/8 x 12 7/8 inches (257 x 327 mm); sheet size 13 x 15 3/4 inches (330 x 400 mm). 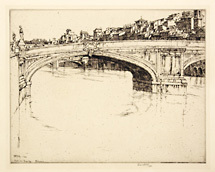 A fine impression, on cream wove paper, with full margins (1 3/8 to 1 1/2 inches), in excellent condition. 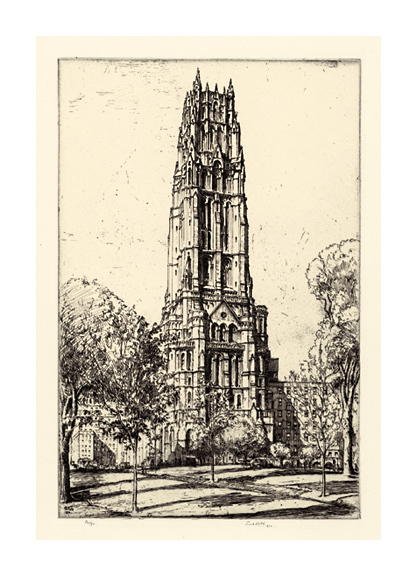 Riverside Church, New York --- 1930, Etching. 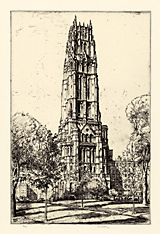 Edition 90. Signed, dated, and editioned in pencil. Signed and dated in the plate, lower left. Annotated The Riverside Church -123rd St N.Y.C. -1930 in pencil, in the bottom sheet edge. Image size 14 3/4 x 9 9/16 inches (375 x 243 mm); sheet size 17 1/2 x 12 3/8 inches (445 x 314 mm). A superb impression, on cream wove paper, with full margins (1 1/4 to 1 1/2 inches), in excellent condition.